With the increasing no. of cases of Swine Flu in India, WeChat, the popular messaging application, has also to come for the fight against Swine Flu. WeChat has created official account to raise awareness against Swine Flu. This awareness is targeted to control the out burst of this Infectious disease. 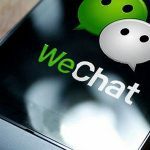 This official WeChat account is powered by Lybrate. People affected with this disease can get trusted information from it and have other benefits from it too. The first objective of the account was , trusted and reliable information, which can be found under info tab in this account. It also contains symptoms for the disease and treatment options for the affected person. The exclusivity of the account ensures its reliability. This disease can get worsen, if not handled carefully and professionally. Under Get Help tab, you can get valuable information regarding doctors etc. You can make appointments with the doctors through it. And most importantly, you can get the information of all Swine Flu treatment centers in India just under ” Health Centre ” tab. People can get Tips from Doctors of India under this tab. It will be helpful not only for affected people but also contains tip to avoid this disease in future too. To follow the account, search for ID “SwineFluHelp” in search option of WeChat, or you can also follow it after scanning the QR code given below.